Below are some important notes on upgrading to Jira Service Desk 4.0. For details of the new features and improvements in this release, see the Jira Service Desk 4.0 release notes. As Jira Service Desk runs on the Jira platform, you should also view the Jira platform 8.0 upgrade notes. One of the changes coming with Jira 8.0 is the upgrade of the Lucene library, which is responsible for the index in Jira. This change improves indexing (and searching), but it also makes your current index incompatible with the new version. That’s nothing to worry about, as you can rebuild the whole index by ‘reindexing’ Jira, an action you would probably run after a normal upgrade anyway. After reindexing, the index will be compatible with any later version. How does it affect the upgrade? The new index will trigger an automatic reindex in Jira just after the upgrade (more precisely, when you start Jira). Because of that, there’s a great chance you’ll reindex twice, after starting Jira and after making some changes that require reindexing. For example, upgrading plugins. Reindexing might be really time consuming in large Jira instances, that’s why we’re recommending that you disable the automatic reindex and run it manually later, when you’re ready. We’ve included steps needed to disable the automatic reindex in our upgrade procedures. If you’re looking for a quick answer, though, you’ll need to add the following line to the <home-directory>/jira-config.properties file before you start Jira after the upgrade. You need to disable apps that are incompatible with Jira 8.0 or upgrade them to compatible versions, if these are available. Incompatible apps may block the Jira upgrade or startup, because they're using elements that are no longer available or that have changed in the new version, like the Jira index, APIs, or some parts of the UI. Disable all incompatible apps, or upgrade them if they have compatible versions. For more info on what you should do, see Preparing for the upgrade. We always recommend that you test the upgrade in a test environment. Once you upgrade the test environment to Jira 8.0, you can try enabling the incompatible apps and see how they behave with the new version. If they don't affect your Jira instance in a significant way, you can use them with 8.0, even if they haven't been declared compatible yet. One of the improvements we’re shipping in Jira 8.0 is the addition of new indexes to two of the most heavily used database tables (changeitem, changegroup). Thanks to that, issues will load faster, and so will queries executed against the database to retrieve the data that issues contain. Because of significant changes we've introduced to the Jira platform in 8.0, we can't support the zero downtime upgrade from Jira Service Desk Data Center 3.x to 4.0. To upgrade, you'll need to use a regular upgrade method. Zero downtime upgrade will be available again when upgrading within the 4.x line. In Jira 8.0, we’ve changed default values for some of the properties related to indexing, and also made several properties obsolete. You can always view the jpm.xml file to see all supported properties, and their current values. The maxrambuffermb properties define the maximum size of a memory write buffer for Lucene documents queued to be saved into the index files. We’ve increased it to better handle issues with large number of custom fields. Because of this change, we’ve also increased the default maximum heap size (xmx), as described below. Because of the increase in maxrambuffermb, we’ve also increased the default maximum heap size (xmx). Jira 8.0 should require less memory, however we still need the xmx value to be higher than maxrambuffermb. If you already had xmx set to 2GB, you shouldn’t need to increase this value. If you’re running Jira on a 32-bit system, the 2GB heap size will be too high, and you’ll need to decrease it, as described below. This applies only if you’re installing or upgrading Jira manually, by using the archive. Installers will do it for you. If you’re installing or upgrading Jira on a 32-bit system, you need to decrease the maximum heap size available to Jira. The default for 64-bit systems in Jira 8.0 is 2GB, which is too much for a 32-bit system, and may not fit into the available memory. We’ve created a new setenv32.bat/.sh file that has all the right settings, you just need to put it in the right place. Go to <Jira-install-directory>/bin, and delete the setenv.bat / .sh file (or change its name). Rename setenv32.bat / .sh to setenv.bat / .sh. Jira will use this file on startup. Step 2: Add the properties to the jira-config.properties file . Make sure that your P1 apps are installed in <Jira-install-dir>/atlassian-Jira/WEB-INF/lib. If you install these apps along with regular apps from Atlassian Marketplace in <jira-home-dir>/plugins/installed-plugins, they won’t work in Jira 8.0. For more information, see Installing Marketplace apps. We've made this change in Jira Service Desk 3.15.2. If you're upgrading from this version or any later, you should've already done these steps. 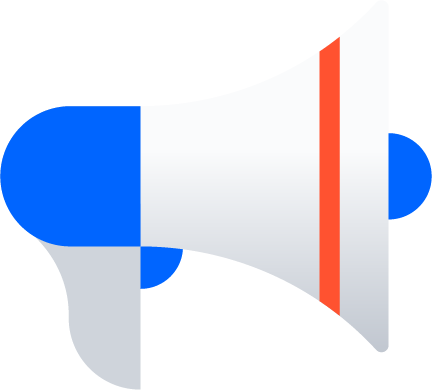 In Jira Service Desk 4.0, we've removed com.atlassian.fugue, and updated our APIs to use Core Java Data types and Exceptions. We’ve introduced this change to make it easier to develop on Jira Service Desk. Before using Core Java Data types and Exceptions, update any scripts, integrations, or apps that make requests to endpoints returning com.atlassian.fugue. This stops them breaking after the update. Read our Java API docs and REST API docs to learn how. See Preparing for Jira 8.0 for all important changes regarding apps. See Upgrading Jira applications for complete upgrade procedures, including all available upgrade methods, and pre-upgrade steps that are required for Jira Service Desk 4.0.